The Northwestern University Library now has a large collection of online reference books. Below are links to some of the largest collections. Searchable database of several hundred subject encyclopedias and other reference works across all subject areas, but with particular strengths in the social sciences and humanities. It includes a number of major reference works, and is Northwestern’s largest single collection of reference materials. A good source for authoritative background information. An extensive cross-searchable collection of online reference works, primarily dictionaries and encyclopedias, across all subject areas. Offers annotated bibliographies of the most important books and articles on specific topics in a growing range of subject areas. Particularly useful for anyone beginning research. Online version of many Oxford University Press reference works, ranging from specialized dictionaries and companions to major reference works such as the Encyclopedia of Human Rights, the Oxford Encyclopedia of Food and Drink, the Oxford Encyclopedia of Latinos and Latinas in the United States, and the Oxford Encyclopedia of Economic History, among many others. Searchable database of tables-of-contents and indexes from several thousand reference works and subject encyclopedias. Useful for locating the resource that will provide background information on a particular topic. An online collection of subject encyclopedias and handbooks covering a wide-variety of subjects in the social sciences. Particularly strong for handbook coverage. 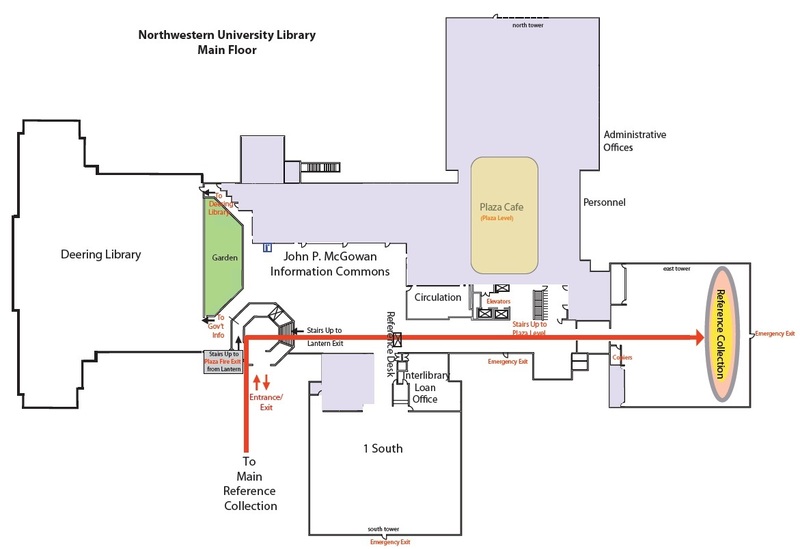 The most commonly used and recent reference books in the Northwestern Library collections are housed in the Newspaper and Periodicals Reading Room of the Main library. Scanners and photocopiers are available for copying specific sections of these non-circulating works. The library's rich collection of reference sources are listed in NUsearch. You may search by title, keyword, or subject heading. To use the subject search, you must use a valid subject heading. To find "official" subject headings, you may go to the Library of Congress Subject Heading page. In the search box, type in your subject, then choose LC subject headings from the drop down menu, and hit enter. A list of "official" subject headings will appear.